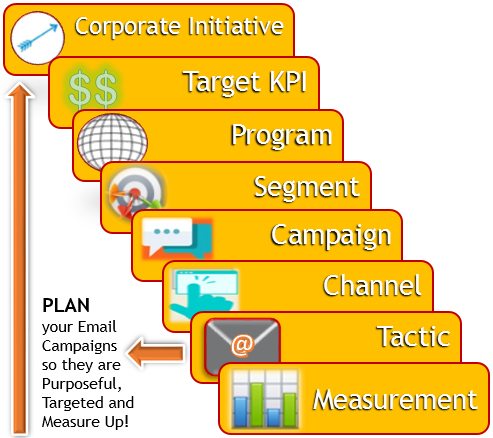 If you don’t have a campaign strategy built into your marketing plan, you could be missing out on big opportunities. When you are looking to promote a specific product or event, have a time sensitive offer, or are looking to reinforce your branding and awareness, a well targeted campaign is a great way to get your message across. Not to mention, it compliments your Nurture Foundation. How Does the 4Thought Campaign Strategy Work? The 4Thought Campaign Strategy works great standalone, or as a complement to the Nurture Foundation. It’s time to start getting your message across to the right audience when it really matters, and 4Thought has the expertise to maximize its impact and ensure that it does not interfere with any other campaigns you have running.